Who This Career is For? A career as an automobile engineer is for people who are driven and passionate about cars. 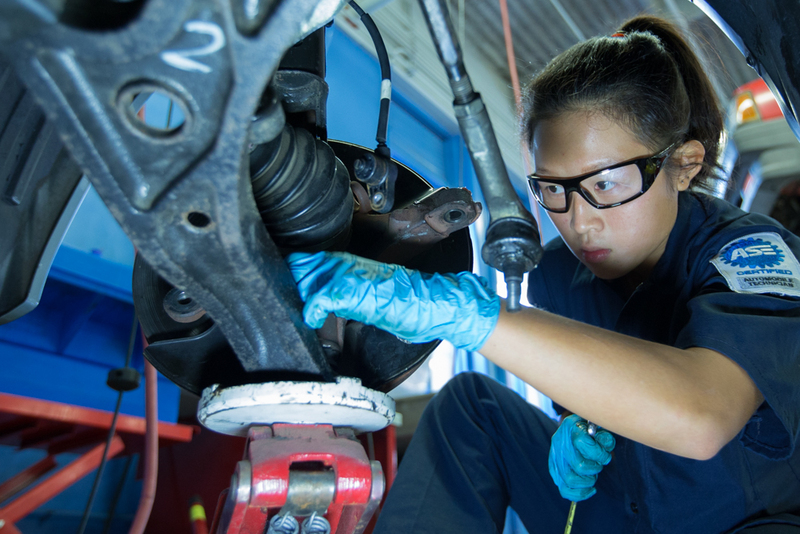 They must have considerable understanding and interest in mechanics, electronics, and mathematics as these are vital skills required for this career path. Automobile engineers must be organized individuals who are able to work in a methodical manner. People in this career are required to communicate with other professionals on a regular basis, both from within the field and outside it. Hence, this career is only for those with fluent communication skills. While automobile engineers must be innovative, eager workers, they must not get carried away. Automobile engineers hold a wide variety of responsibilities. 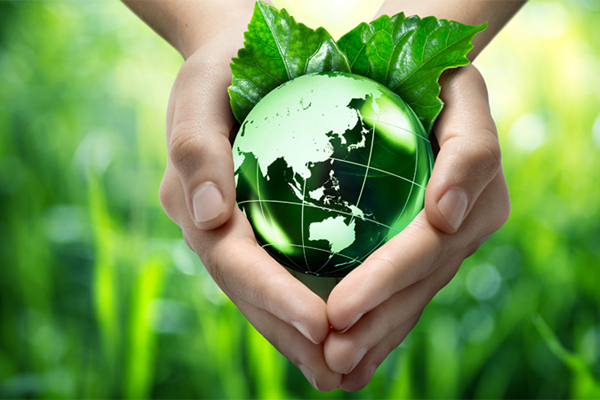 Their primary purpose is to maximize the feasibility and design of automobiles keeping costs to an absolute minimum. Sept. 17, 2016, 2:29 p.m.
A typical professional in this field spends a lot of time on researching and designing both systems and machines for automobiles. The designs are initially done in the form of drawings and blueprints. Automobile engineers then apply physical and mathematical principles to these plans to make sure they are viable. The planning is done after considerable research, and then altered again after linking the plans to the available research. Once the planning process is done, the designing begins. Automobile engineers are responsible for transforming their plans and research into a viable end product. They must oversee the entire process of manufacturing, with meticulous attention to detail. 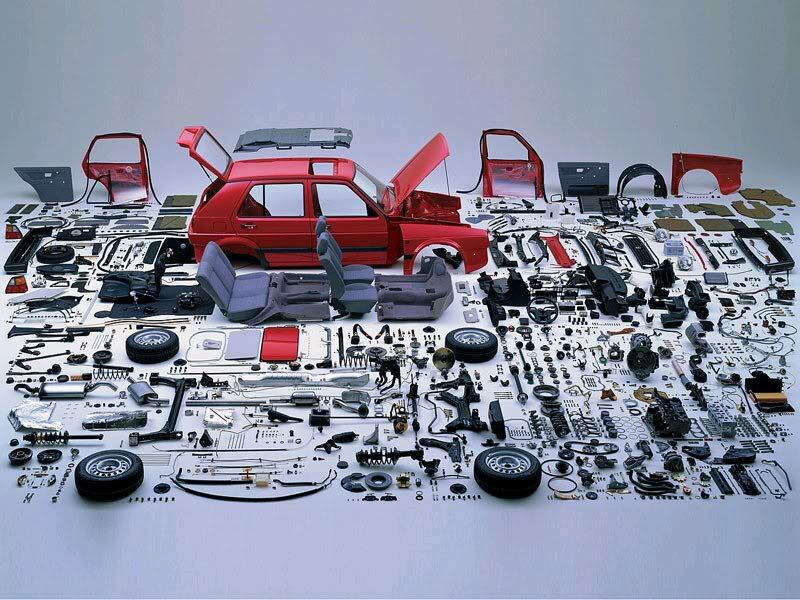 After the end product is manufactured, the most important part of an automobile engineer’s job begins. Testing is a rigorous process that must be done with utmost care. This procedure generally entails focusing on each and every component of an automobile to ensure it is able to function in every imaginable condition in a safe and secure manner. There is also often a financial side to this job, which involves preparing costs of buying materials and producing systems. It is also important to realize the legal aspects of this job. Automobile engineers must be up to date with all safety regulations, so that they do not violate legislation related to automobile engineering procedure. Automobile engineers generally know they want to get into the field at a fairly young age, so they are generally people who studied natural sciences and mathematics in high school. This gives them the edge to get a degree in engineering, which is an essential prerequisite to become an automobile engineer. Additionally, while it is not necessary, a master’s degree in a field such as automotives or automotive engineering gives prospective automobile engineers a distinct advantage. A graduate engineer at a major OEM (original equipment manufacturer, ie carmaker) gets a stipend of Rs. 28,000 to Rs. 30,000 a month during training. This can go up to Rs. 40,000 till s/he is confirmed. A line leader/assistant manager can earn anything from Rs. 40,000 to Rs. 80,000 a month, depending on their experience in the industry. According to PayScale India, an automobile engineer can earn anywhere between Rs. 250,000 and Rs. 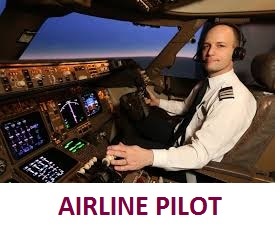 600,000 per annum including average bonuses and commissions received on the job. The highest salaries were paid by vehicle manufacturers whereas product development engineering firms paid a lot less to automobile engineers they hired. A division head with 18 years’ experience can make anything from Rs. 25 lakh to Rs. 30 lakh per annum. Automobile engineers work varying hours per week depending on the amount of work they have assigned during a particular week. They may work anywhere between a 40 hour week and a 55 hour week, but may even be required to work overtime if there are some outstanding deadlines or emergencies. Automobile engineers spend a lot of time in front of a computer on their desks. When they are not doing research in their office, they are at plants monitoring the manufacturing of the automobiles they planned and their testing. This may involve spending lengthy periods of time in noisy, dirty factory environments. What Perks come along with this career? Automobile engineering is a career path that no one will deny is unimportant. There are millions of vehicles on roads in every corner of the world, and automobile engineers are the people responsible for that. They feel an immense amount of satisfaction when they see a machine as intricate as a modern automobile completed when they are the ones who contributed towards its design. Automobile engineers earn a considerable salary, more so than many other types of engineers. They have a fair amount of job security as they begin gaining experience. People in the field are generally passionate about automobiles, and so have the added advantage of working with something they truly appreciate. The job often requires automobile engineers to work under the immense pressure of tight deadlines. Moreover, they have the lives of millions of people in their hands as they do their work. The slightest mistakes in planning, designing or testing could be catastrophic. Automobile engineers often have to deal with noisy factory conditions for extended periods of time. They have to pay scrupulous attention to detail at every aspect of their job, which can often get monotonous. While the automobile industry has been on a decline in the past five years in most areas of the world, the number of people who opt for this career is quite low because of the high level of training and specialization required to become successful. As a result, there is a fair amount of competition in the field, especially for the most lucrative jobs. The number of jobs in the field is likely to increase at a slow pace in the next few years. Locations where this career is good? In the USA, the Midwest is the best place to be an automobile engineer because of the concentration of automobile manufacturing firms in the region. In Europe, Germany is the leading automobile manufacturer. There is a large demand for automobile engineers in Japan, South Korea, China and India. More specifically in India, the Maharashtra province offers the most jobs as well as the highest level of salary in this field. The city of Bangalore is also a good place to be an automobile engineer within India. To become an automobile engineer, After completing Class 12 from the science stream one must have a BE or B.Tech. in automobile engineering. Even degree holders in electrical or mechanical branch can go in for specialization in automobile engineering at the postgraduate level. Diploma holders can take the AMIE exam to be at par with degree holders. 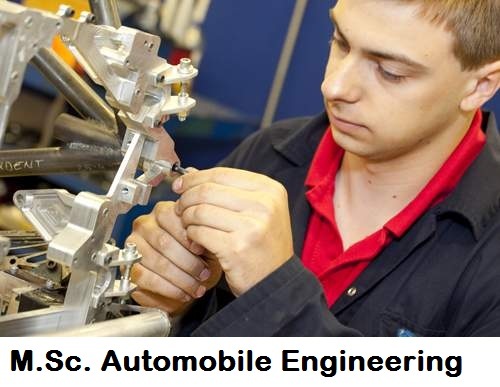 BSS Diploma in Automobile Engineering is a diploma level Automobile Engineering course. Automobile engineering is indeed a sub branch of mechanical engineering. Automobile engineering is an applied science that includes elements of mechanical engineering, Electrical engineering, Electronic Engineering, Software Engineering and Safety engineering as applied to the design, manufacture and operation of automobiles, buses and trucks and their respective engineering subsystems. 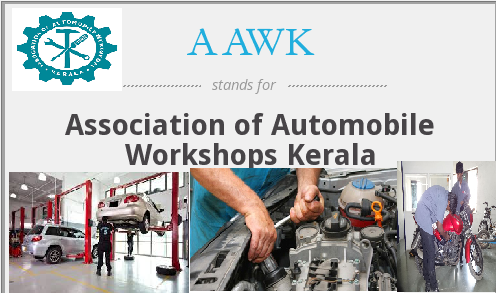 A diploma holder in automobile engineering has gets lucrative offers from various manufacturing plants as well as the numerous workshops of automobiles. 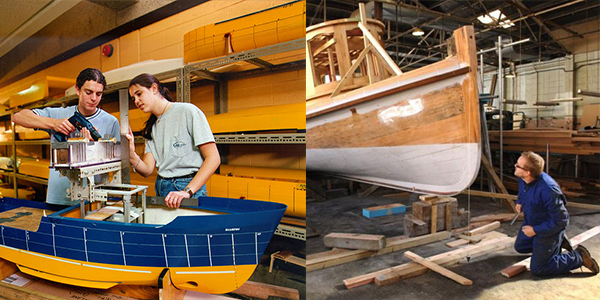 Naval architects work as part of a team responsible for designing, producing and repairing safe, sea-worthy surface or underwater vessels. 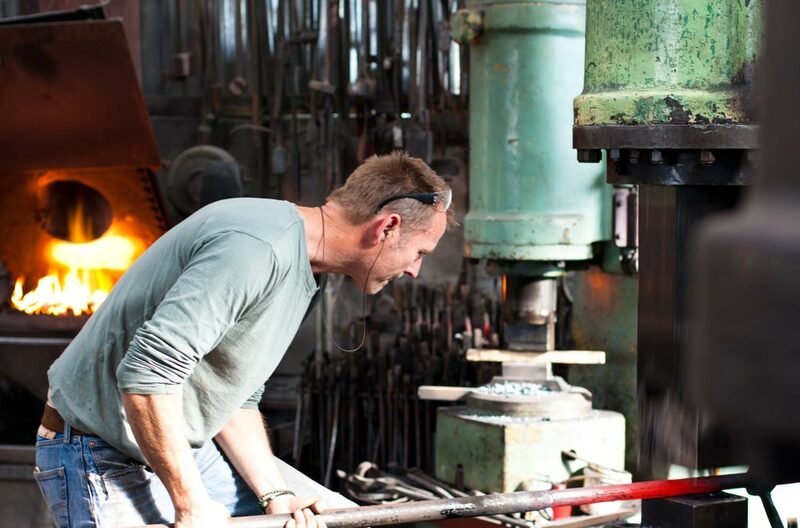 A manufacturing toolmaker produces, modifies and repairs the tools used in the manufacturing process. 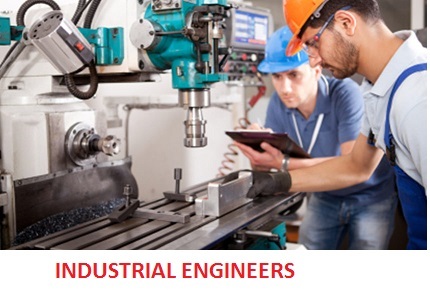 A toolmaker is responsible for making precision ..
Feb. 14, 2019, 12:38 p.m.
Manufacturing machine operators (sometimes called production operators) are builders, fabricators, mechanics, craftsmen and quality assurance all rolled into one. 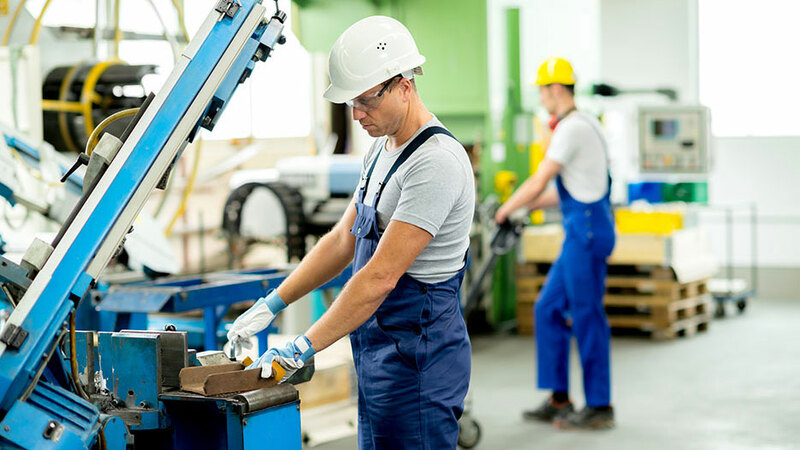 They work with heavy machinery on the factor..
Feb. 2, 2019, 11:54 a.m.
Purchasing managers play an important role in a company's supply chain management. In large organisations, there is a department for purchase of materials, with purchase manager as the main head who is r..
BSS Diploma in Automobile Engineering is a diploma level Automobile Engineering course. Automobile engineering is indeed a sub branch of mechanical engineering. Automobile engineering is an applied scie..
Jan. 19, 2018, 2:52 p.m.
BSS Diploma in Automobile Technology is a diploma level Automobile Engineering course. Automobile engineering is indeed a sub branch of mechanical engineering. 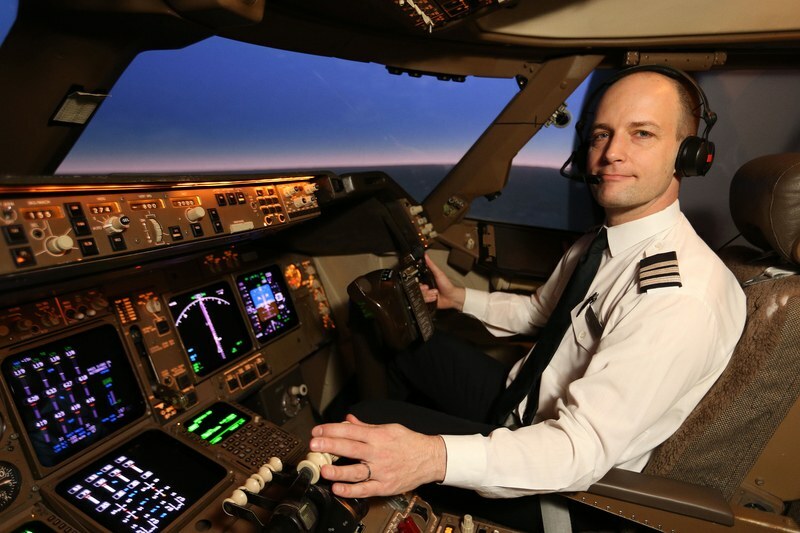 Automobile engineering is an applied science th..
Jan. 3, 2018, 12:18 p.m.
Oct. 20, 2017, 11:14 a.m.
To become an airline pilot, you typically need a bachelor’s degree, combined with a commerc..
July 19, 2017, 3:41 p.m. 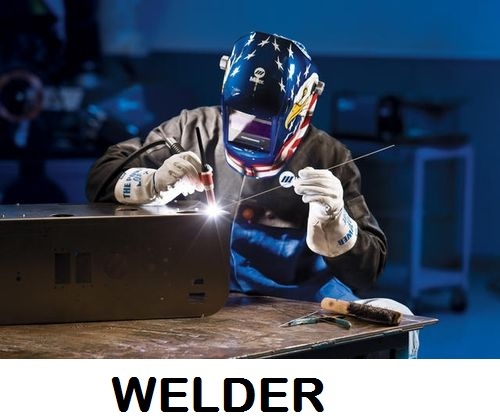 If you’re technically minded, have skills in math and science, and you have a keen interest..
June 9, 2017, 11:35 a.m.
Welders are skilled technical workers who shape and join pieces of steel, aluminum and other metals using heat generated by torches or lasers. 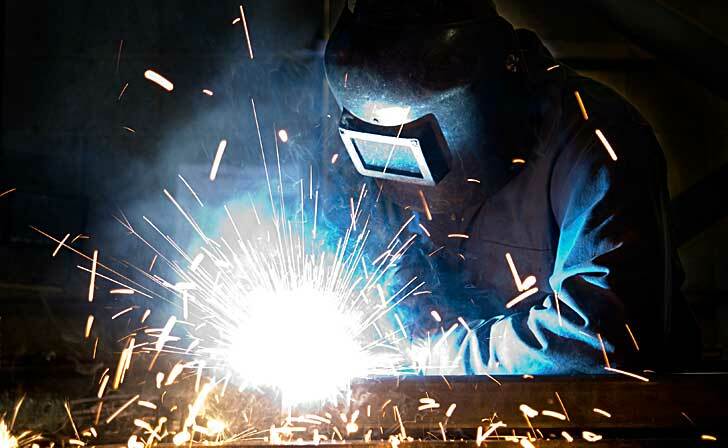 They also use their welding skills to fill in holes in metal and repair cracks.